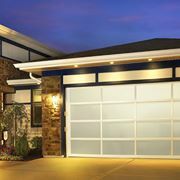 Quality Garage Doors is a full time garage door services provider in Kitchener Waterloo. We offer the best inventory for our garage doors, making sure to feature a beautiful and aesthetic appeal. We install and repair all types of Garage Doors and offer a large selection of garage doors in a variety of styles and a nearly unlimited color palette. You can be confident when you call us. We are available 24/7. Moreover, all services are provided at affordable prices. There are many services which our company provides like- • Garage Door Repairs • Garage Door Opener • Garage Door Installation • Garage Door Parts & Accessories • And Much More! Call Our Experts Now (226-214-3299).